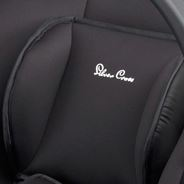 Simplicity is the infant car seat that's simpler to fit safely. It is one of the most advanced infant safety products anywhere in the world. 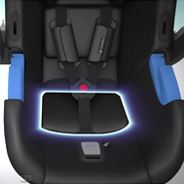 Simplicity can be installed with either a seatbelt or the specially designed Simplicity ISOFIX base. Simplicity features a five point harness for a secure and comfortable fit. The harness and the head support can be adjusted with the baby in the seat for greater convenience. Simplicity can be installed with either a seatbelt or the specially designed Simplicity ISOFIX base. Simplicity features a five point harness for a secure and comfortable fit. 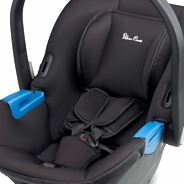 The harness and the head support can be adjusted with the baby in the seat for greater convenience. Creates a convenient travel system when used with all our big pram systems, and the Reflex pushchair. The Simplicity is easy to fit using vehicle seat belts. Belt guides provide a simple method to fit into your vehicle. A correctly fitted seat is a safer seat. 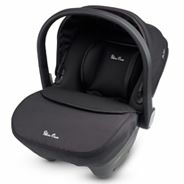 The head support and five point harness are adjustable while your baby is fastened in the seat for greater convenience. Removable fabrics for cleaning purposes. All of the fabrics including harness pads are included. The head support adds even more comfort for your baby and can be adjusted easily with one hand. The newborn comfort wedge creates a flatter, more comfortable environment for your baby to lie in when they are young.